Stacy My name is Stacy and I live in Colorado, although I am originally from Washington State. I'm married with one child who keeps me on my toes. Stacy I started on Zazzle in 2006 after doing an online search for places where I could make and buy my own t-shirt. Zazzle didn't have an order limit and seemed to have the best set up, so I tried it out and have been here ever since. Stacy I have 2 other shops at Zazzle. My main shop is just a little bit of everything that makes up who I am. One of the other shops is RdwnggrlEquality which I started to showcase all of my pride/lgbt gear. I'm very active in equal rights for the gay community and my wedding products for the brides or grooms has always been very popular, so now they have their own shop!The other shop is RdwnggrlPhotography. This is my new home for my photography. Most of it nature - flowers, trees, sunsets, waterfronts. But I have other topics mixed in here and there. 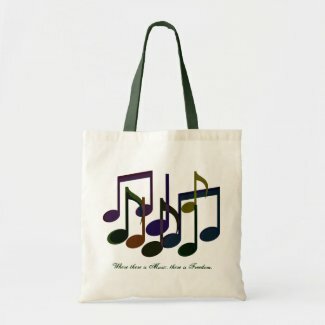 Stacy I have a couple of invitations that have been very popular for me, but as they are more "bulk" sales, in terms of numbers, I guess I would have to say my best selling individual product is my "Where There Is Music" tote bag. Stacy I love to spend time with my family - taking walks, watching the sunset, watching movies. I also watch a lot of sports. Stacy It depends on the day. Because I work outside of the home, as well as raise my son, my time on Zazzle is somewhat limited. But when I have time and ideas, I do my best to juggle both Zazzle and home life. Multitasking is my friend. Stacy I was on Zazzle for about 4 years before I reached ProSeller status. I hit that milestone, however, only about a year after really putting an effort into turning this into something successful. Before it was for fun, for myself, and for my friends. Once I realized strangers were buying my designs, then I put my all into it. Stacy Just keep working. If you don't have time to create a bunch of products, then do what you can, then promote them as you can. Blogs. Twitter. Facebook. Emails. Do them all! Great interview Stacy. I agree with your advice, even a little promoting can go a long way. You can't sell anything if people don't know who you are. Great interview and great advice, I like your work very nice.